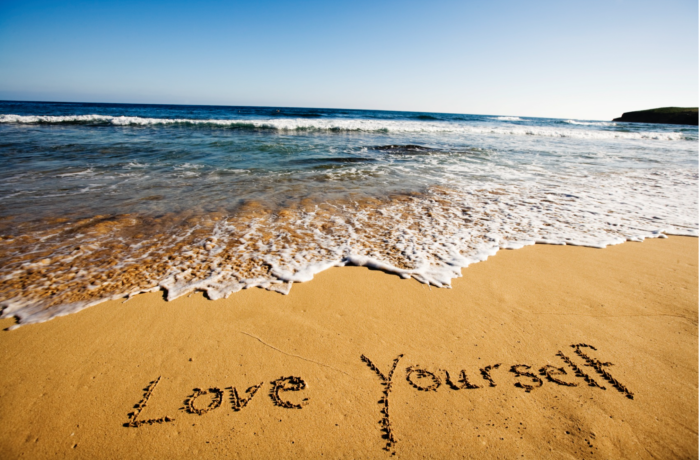 "LOVING YOURSELF: THE MASTERY OF BEING YOUR OWN PERSON"
I had the pleasure of meeting a great women recently after booking her for a TV interview I wanted to do. I meet thousands yearly for the TV, news, radio, print work and my CEO coaching while I interview hundreds but this doctor was memorable. She's the real deal. The author of the book Loving Yourself: The Mastery of Being Your Own Person, Dr. Sherrie Campbell, PhD, veteran licensed Psychologist and counselor has two decades of clinical training and experience and provides counsel and psychotherapy services to residents of Yorba Linda, Irvine, Anaheim, Fullerton and Brea, California. She has a private practice and is booked daily with non-stop sessions back to back. Campbell specializes with adults and teens, including marriage and family therapy, grief counseling, children trauma, sexual issues, personality disorder, illness and more. She helps those at their highest and their lowest. She conducts interactive sessions and really connects with people. In her book Campbell says: As you love who you are you will find that you move through life holding your head slightly high and your chest will be expanded and - here's the key people - you become "open for love and receiving." Your neck will be long and lean, your throat open showing you are always ready to share and relate. You will know who you are and therefore will feel comfortable to be fully expressed. Campbell writes for publications and is a powerhouse of a person. You feel her passion for life and all she does in helping others right away. For Huffington Post she writes on topics such as: 6 Ways to Begin Living the Life You Love, 8 Ways Resilient People Approach Life, Love and Success, 7 Ways to Unlock Your Greatness and 7 Psychological Equations to Empower Your Life and Mind. Resilient people have a sense of grit at their core. They are persistent and tough-minded in the face of failure, loss, heartbreak, success and challenge. They are committed. Whatever they pursue is met with their full attention and nothing less. There is no amount of hard work they will shy away from. She is so right on this. (In fact, read these last couple of lines again just so you are sure to get this great life lesson as to why some people succeed at everything they do while others have trouble) She says all are all born with an equal potential for greatness. There are no exceptions, yet most realize far below their potential. It is the small handful who rise to extraordinary heights and become legends in their own rights. To rank amongst the elite you must consciously change your habits. She also teaches that you can either be at the effect (powerless) of your life or act as the cause (in power) of it. Your internal belief system about yourself and how you envision your life is the most important predictor of your success or failure. She says the biggest frustrations and disappointments in life come from expecting too little of yourself and too much of others. Expectations impact the realm of all of your relationships. To feel happy and satisfied do your best to live up to your own expectations so you have less of a dependency on others. She says happiness is not an event that occurs but rather a process. When it comes to relationships...she says: Finding and creating healthy relationships is hard work and many people do not have the energy or patience for this type of effort. Oh that is so true, I agree with those words of wisdom. People just bail easily. Many do not want to put the work in. I know this as I lived it. I am a confident, strong, extremely reliable person who does not bail from anything. Nothing. I work to the end and give it my all. I support wholeheartedly and do not shy away form the work needed. Dr. Campbell says the success of any relationship can be boiled down to (and here is the lesson, she is so right on with this one) - being able to work well with your partner and “possessing the deep knowledge of what makes people tick” which she says is essential to creating and sustaining successful relationships. To purchase the book Loving Yourself: The Mastery of Being Your Own Person by Dr. Sherrie Campbell - go to amazon.com and select bookstores.